Nokia Philippines is at it once again! 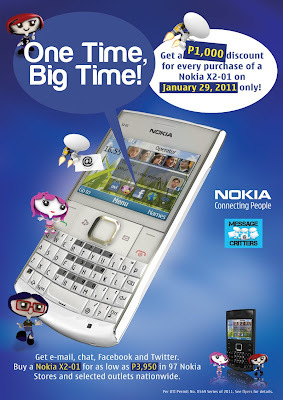 One Time, Big Time sale only on January 29, 2011 at more than 90 participating stores nationwide. 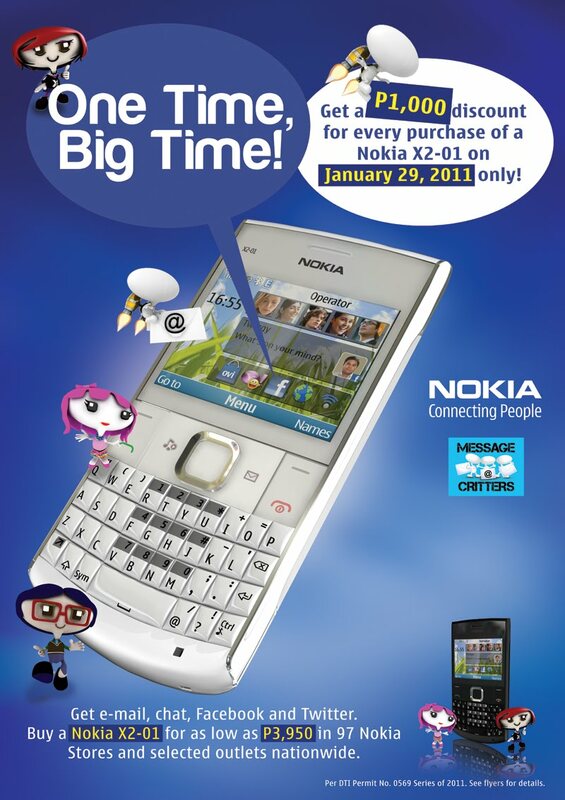 Buy a Nokia X2-01 for only Php3,950 -- that's Php1,000 off the original price. To guide you on where this unit will be available, here's a list of participating stores for you -- PDF File.